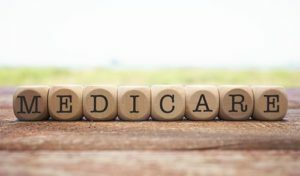 According to a report released by non-profit legal advocacy organization Justice in Aging, the Center for Medicare & Medicaid Services (CMS) is continuing to roll back Obama-era protections meant to keep patients safe. On January 18, the agency announced in its newsletter that it would be delaying use of fines and other enforcement mechanisms for violations of regulations that became effective in November 2017 and reducing the size of fines by imposing per-instance fines rather than per-day fines for violations that occurred prior to any inspection. On June 15, CMS replaces 2016 policy guidance (CMS S&C Memo 16-31-NH) with new guidance that limits the imposition of penalties against nursing homes. Under the new guidance, CMS eliminates certain mandatory penalties, giving regional CMS offices wide discretion whether and how to address a particular violation. Also, penalties are lessened in situations when residents were in immediate jeopardy but did not suffer harm. These are just the most recent examples of potentially dangerous actions taken by the agency. It is important for residents and loved ones to remember, however, that deregulation does not mean that victims of abuse and neglect do not have the right to pursue a claim in the courts. For this reason, anyone injured in a nursing home should speak to an experienced attorney as soon as possible about their options. If you believe that your loved one has been the victim of abuse, you should report the matter to the New York State Department of Health and contact an attorney immediately. If you have or a loved one has suffered abuse in a nursing home, you should speak to one of the experienced lawyers at Goldfarb Abrandt Salzman & Kutzin LLP as soon as you can. To schedule a consultation with one of our lawyers, call our office today at (212) 387-8400 or contact us online.